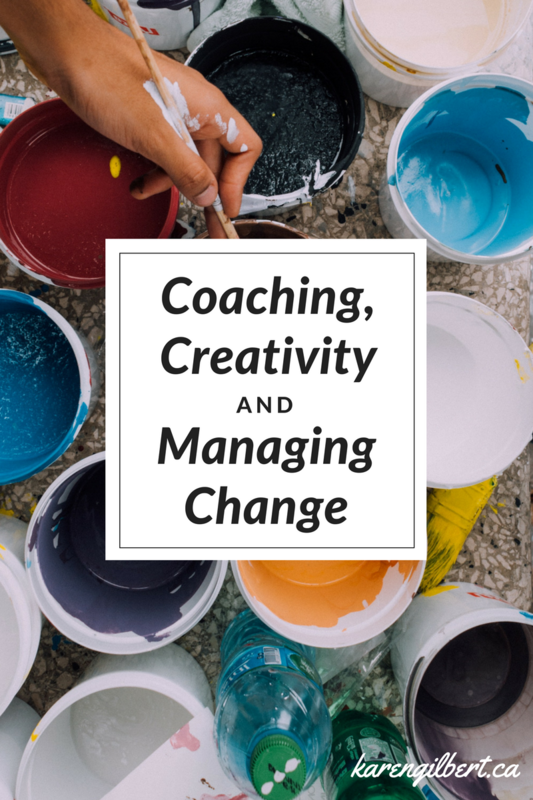 Our next OT is also a coach and an artist who supports people to find balance and manage change, overwhelm and the complexity of modern life. 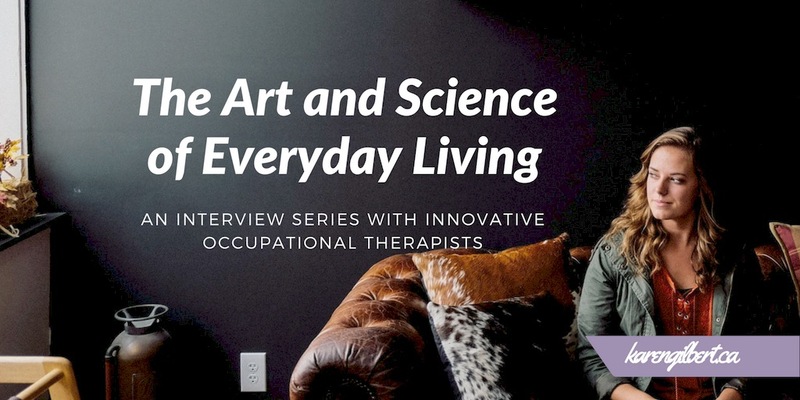 If you have an invisible health condition and you are experiencing change and overwhelm, you may find pieces of your own story reflected in the words of the occupational therapists interviewed in this series. You may even find a tip or two to help you live your life with more ease, joy and meaning and foster a renewed sense of hope. 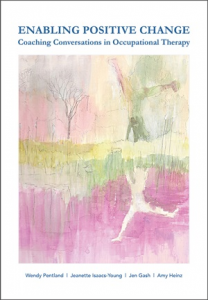 Jen Gash is an Occupational Therapist, Coach and Artist. After starting her working life in Human Resources, Jen trained as an Occupational Therapist in 1994. Her interest in positive psychology and therapeutic relationships led her to train as a coach in 2005. Her passion for creativity led her to specialise in creativity coaching, which echoes her OT roots. Coaching bridges the gap between where we are now and where we would like to be and is crucial to enabling, sustainable health behaviour change. 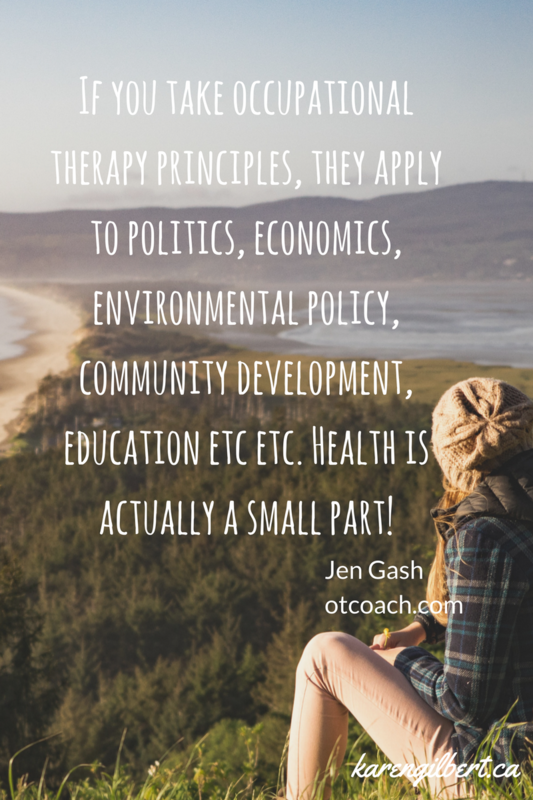 Jen is passionate about coaching becoming integral to OT practice, as it is a powerful way to enabling meaningful occupation. Jen is also director of Discovery Party, which provides coaching parties in schools, homes and businesses. Jen’s passionate and spot on blog posts about the value of occupational therapy have been a touchstone for me as I step out in different ways in my own career as an OT. Her wisdom will not only resonate with occupational therapists, but anyone who is in the midst of navigating the gap between where they are now and where they would like to be (which sounds like all of us, much of the time). I am delighted to have Jen be a part of this series and share her insights and perspective (and humour!) with us. People need to wake up in the morning knowing that their day has things in it that they want to do and can do. 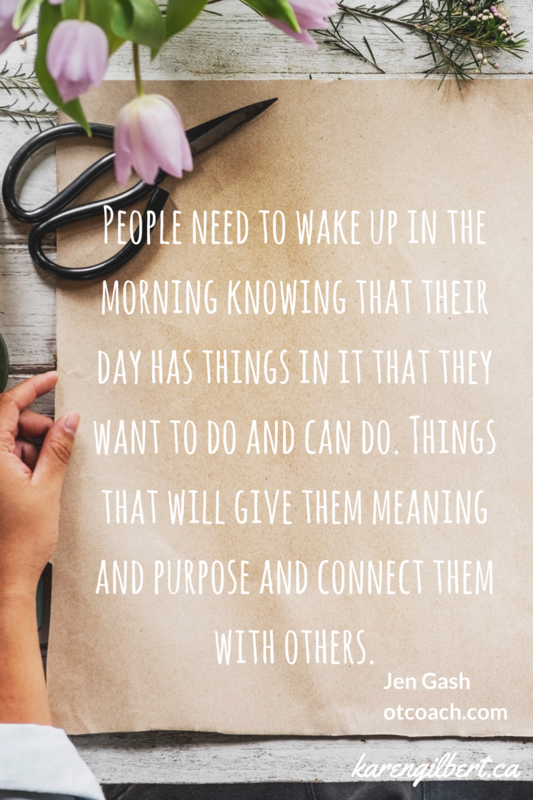 Things that will give them meaning and purpose and connect them with others. I help them do stuff they want to do in life. In your practice, what are some common struggles or symptoms that you support people to adapt to, manage, or overcome? These days I work with a lot of occupational therapists who are struggling with occupational challenges themselves which range from difficulties at work, personal difficulties or a desire for a different way of working. Are there strategies that you find yourself mentioning often to clients that someone reading this could apply in their life today? Yes. Hold things lightly but have a clear vision. If we are too rigid we get stressed and miss emerging opportunities, but if we are not clear about what we want we struggle to make choices and avoid sabotaging ourselves. Simplify and declutter. I spend too much time with my face in my phone as it is, so don’t have an app to recommend. 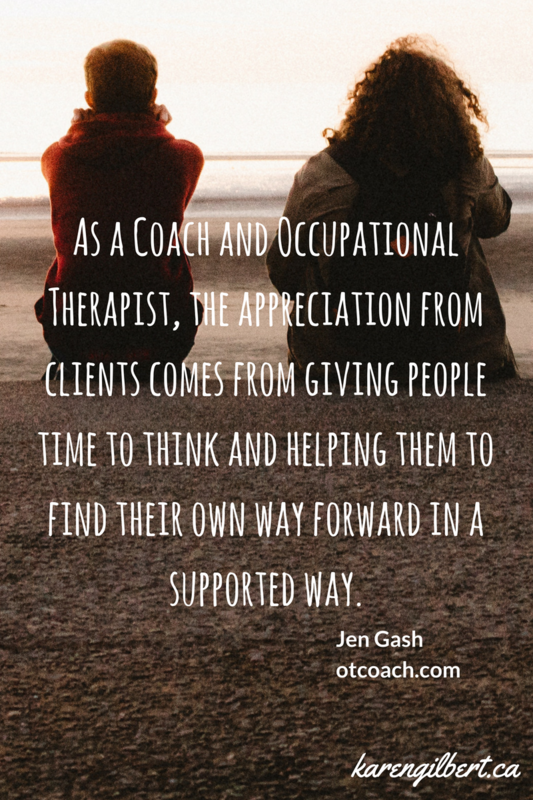 What I have to say next may sound a little sad but when I was an OT I didn’t get the feedback from my clients that I do now that I use coaching. I have reflected back to my early days and remember the thank you cards that used to come in for other staff members on the ward and I don’t think I ever got one and that’s ok because I don’t think it was where I was working at my best. Since I started coaching I do get lovely feedback and I just realised that was such a missing part in my practice. The appreciation now comes from giving people time to think and helping them to find their own way forward in a supported way. They find the answers to their occupational challenges and struggles when you use a coaching approach to OT and it is less stressful for me too as I kinda burnt quite a lot as a junior OT! I was a painter before I was an OT and coaching has been an obsession for the last 12 years. Recently I have gone back to my roots and have been researching the field of creativity in relation to coaching in particular but also, of course, its foundations in OT. Since OT kinda distanced itself from creative practice and became more medicalised over the last 30 years or so, the rest of the world has gone “hey this creative arts lark is really good, I think humans should do this more”. I am really frustrated that so many projects are now springing up and being funded with creative arts at the core and the OTs are rarely seen… we have missed out in my opinion and risk becoming just highly skilled assessors of function. Rant over. No seriously, if you take occupational principles, they apply to politics, economics, environmental policy, community development, education etc etc. Health is actually a small part! Occupational therapists believe that the ‘occupations’ we engage in are essential to our health and well-being. What are some occupations that shape who you are, bring meaning to your life and/or restore you? What core values guide you in your life and in your work? Do you have a phrase, mantra or strategy that helps you show up and live brave, even when life is difficult? How could I choose to see this differently? AKA Does it need to hurt so much? What in this situation is really, really funny? One (big or small) thing on your bucket list and one you have already checked off? Umm, I kinda don’t do bucket lists! I’ve done some lovely things in my life already like dived in the Maldives and Great Barrier Reef, published two books, got my own studio (that is big) exhibited paintings and sold work. They are pretty big things really so I am kinda content in many ways, I just want to create more stuff and spend time with my family and chums more, sing more karaoke and do Morris dancing and sea swimming. Basically, there are some things we can change, some things we can’t and we need to spend our energy and love on where they can make the most difference to our lives and the lives of those we love and where the world needs it. We need to use our wisdom, and even better our intuition to decide what is best to do and what is best to let go with love. Thank you Karen and Jen I found your interview piece really inspiring. I am one such OT in transition, trying to do things differently, struggling and thriving inequal measure. I’ve been following Jen since her OT Show in Birmingham debut a couple of years ago and recently yourself Karen connected through Jens site. I love what you are both doing and if I can introduce a little of your approaches to my own work in a sadly heads down target driven environment I will be very happy! Your posts inspire me to keep ‘showing up’ with positivity and hope. Thank you for your comments, Fiona. I am inspired to hear about you doing things differently – struggling and thriving in equal parts seems like such a common human experience. Keep showing up! Courage is contagious.